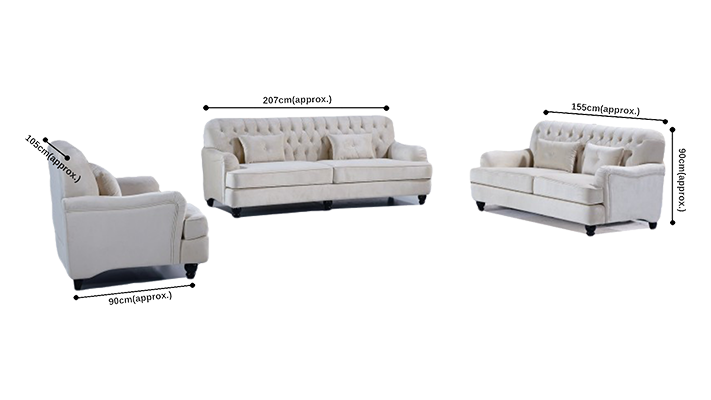 The Bianca lounge set from the Furniture People is the perfect choice for anyone looking for traditional forms that make a bold, modern statement. The Bianca lounge suite features traditional styled curved armrests and wooden legs, with the upholstery accented by rows studded highlighting. The traditional look is moderated with the use of bold striped fabrics on the seat cushions, and the sofa set comes with a huge range of matching and contrasting throw cushions to complete the look. 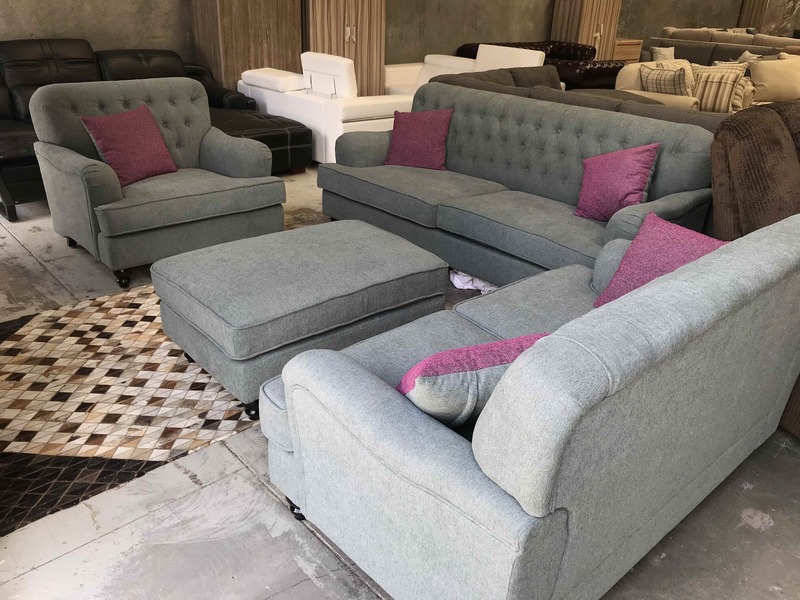 Upholstered in top grade, woven herringbone fabric for lifelong durability and comfort, the set includes a 3 seater and a 2 seater sofa plus arm-chair including ottoman, all of which are amply proportioned to suit larger persons. Pocket spring technology over high-density foam is the gold standard in long lasting cushion support, ensuring that your cushions always return to their original position, and resist sagging over the life of your sofa. Come and take Bianca for a "test lounge" today at our huge Greensborough warehouse. Open 7 Days, and ample parking.